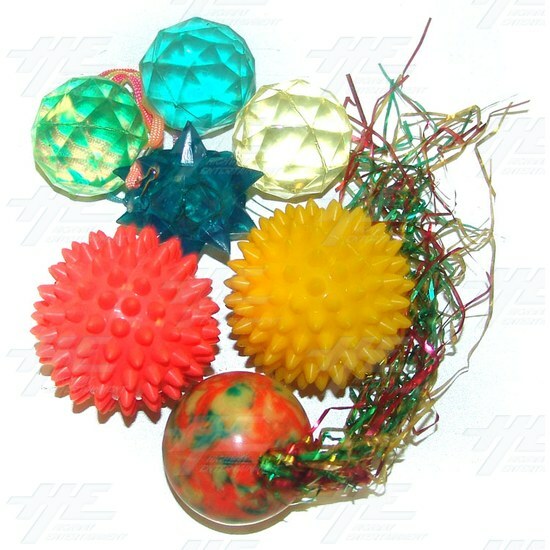 A collection of bouncy balls and other balls, most with an irregular shape such as Star Shaped, Spikey, or a Polygon. Also includes bouncy balls with tinsel streamers attached. Each ball is between 4.5cm and 6cm in diameter. Each ball is between 4.5cm and 6cm in diameter. Price is for 25 units.